Cavaliere OMRI Cecilia Bartoli, born in Rome in 1966, is one of the top-selling opera singers worldwide with her opera and art song CDs. The unique timbre of her coloratura mezzo is instantly recognizable. Unlike most opera singers, she came to prominence in her early twenties, having received early training from her professional singer parents, then studying at the Accademia Santa Cecilia. Her first public performance came at age nine, when she sang the Shepherd in Tosca. At nineteen, after singing on Italian TV, she caught the attention of Maestro Ricardo Muti, who invited her to audition for La Scala, where she debuted in 1991 in Le Comte Ory. Herbert Von Karajan invited Bartoli to sing at Salzburg. Unfortunately he died before she was able to accomplish that mission, but that did not put a crimp in her opera career, and after establishing her international stardom she made a stunning Met debut in 1996 as Despina in Cosi Fan Tutte. Less well known is her Met recording debut as the Madrigal Singer on the Met’s Manon Lescaut recording with Pavarotti and Freni. James Levine, celebrated for his uncanny knack in finding the best, most promising singers worldwide, knew Bartoli was going to be a big star in the US as well as in Europe, with her velvety voice and spectacular vocal pyrotechnics. Also known for her performances of off-mainstream repertoire, Bartoli collaborated on a 2013 landmark recording of Norma based on the opera’s original sources. Her latest DVD is her performance in Rossini’s Otello. Risë Stevens, née Risë Steenberg, who passed away just a year ago at the age of ninety-nine, rose through the ranks in her youth singing on radio, in small opera companies, and at the Juilliard School. Her long, stellar operatic career began with debuts in Prague and Vienna in the 1930s, making her debut as Octavian in 1938 with the Met in Philadelphia, and subsequently in New York as Mignon, for which she won rave reviews. During her two-plus decades Met career she became the only mezzo to command the level of billing and fees usually reserved for star sopranos and tenors. Hollywood came calling with starring roles opposite such icons as Bing Crosby and Nelson Eddy. Her legendary versatility included performances in live opera, recitals, Broadway shows, recordings (she sang Hänsel in the Met’s first recording of a complete opera, Humperdinck’s Hänsel und Gretel in 1947), and on radio and TV. Her no-nonsense attitude belied her stardom, and she helped popularize opera beyond the usual upper echelons. 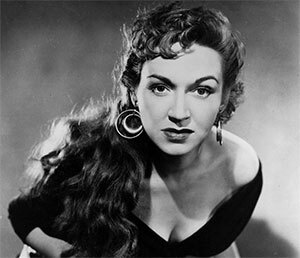 Unquestionably, her name and fame are associated with her tough-as-nails interpretation of her signature role, Carmen, in which she also made her farewell performance at the Met in 1961. A performance as Delilah was so seductive that the tenor, overwhelmed with passion, caused her chaise to glide off into the wings with her still on it, singing away. Retirement from the stage did not stop Stevens from contributing to the opera world. She coached a whole new generation of Met singers, served as General Manager of the Met National Company, and president of the Mannes College of Music, and was a Kennedy Center Honoree in 1990. Igor Stravinsky played a pivotal part in Marilyn Horne’s first career breakthrough when he invited her to sing in the Venice festival. Highly influenced by her father’s encouraging her to follow her musical star, her pre-Stravinsky engagements included dubbing Dorothy Dandridge in the film Carmen Jones, as well as some TV appearances. After performing in Venice, however, Horne established an impressive European career, returning to the US to appear at San Francisco Opera. Horne’s legendary collaboration with Dame Joan Sutherland in the bel canto repertoire led to performances in Carnegie Hall, La Scala, and on “Live from Lincoln Center,” and her 1970 Met debut with Sutherland in Norma steered her into becoming a regular Met fixture for over two decades, singing the title role in Leonard Bernstein’s iconic Met recording of Carmen. The company’s productions mounted for her included Meyerbeer’s Le Prophète and Rinaldo, the first Handel opera ever performed at the Met, in which she sang the title role (that production also saw the much-anticipated debut of bass Samuel Ramey). A familiar presence not only on the opera stage but also at monumental events, Horne performed on a live telecast in 1986 with the New York Philharmonic to commemorate the 100th anniversary of the Statue of Liberty, and in 1990 sang “Somewhere” from West Side Story in a Broadway memorial for Bernstein’s passing. Kudos include being named one of the hundred greatest singers who ever performed at the Met (during their 1983 Centennial year), and the Kennedy Center Honors in 1995. Now retired, she runs the Marilyn Horne Foundation, which she established to help sustain the art of vocal recitals and directs the Voice Program at the Music Academy of the West in Santa Barbara, California. It would be difficult to name a more fiery, take-over-the stage Amneris than Fiorenza Cossotto. Well known for her blazing temperament and stunning vocality in a wide range of opera repertoire, the Italian-born artist gave an auspicious debut at La Scala in the world premiere of Poulenc’s Dialogue des Carmélites in 1957, debuted two years later at Covent Garden with Maria Callas, and at the Met as Amneris in 1968, where she frequently caused pandemonium in her final scene. Mid 19th-century Italian roles such as Azucena, Eboli, and Ulrica became Cossotto’s specialty, and in 2005 she commemorated her 70th birthday with a celebratory performance of Suor Angelica. 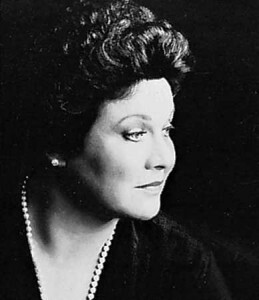 Cossotto and Giulietta Simionato held reign over the operatic mezzo world in the 1960s and 70s, though Marilyn Horne was among Cossotto’s many challengers in that particular realm. 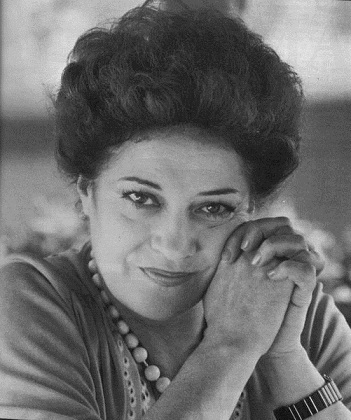 During the height of Cossotto’s Met years, from the 1960s well into the 80s, she sang one hundred forty-eight leading roles. However, according to such opera luminaries as Simionato and Franco Zeffirelli, an “I can hold any note longer than you” rivalry marred the relationship between Cossotto and Callas. Fifty years later, both sides of that story continue to be debated, with much protest of innocence by Cossotto. Unfortunately, Callas can no longer speak for herself. 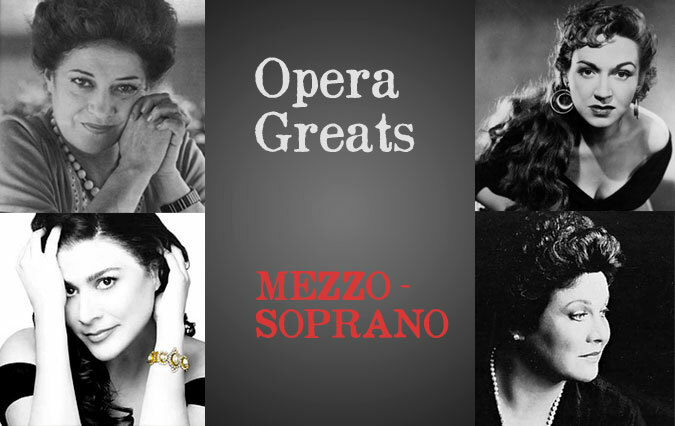 Let us know if we missed your favorite Mezzo Soprano in the comments below or check out our list the greatest tenors. Loved reading about some of my favorite mezzo sopranos!! As a singer, these are definitely the greats after whom I fashion my aspirations!! This was a great read! And totally in agreement, these women are mezzo greats!Would you consider doing one on Grace Bumbry? I would love to read about her too! Great read – so good to see Cecilia being the first one (I am a huuuuuuuuuuuuuuuge fan). And how about Agnes Baltsa?